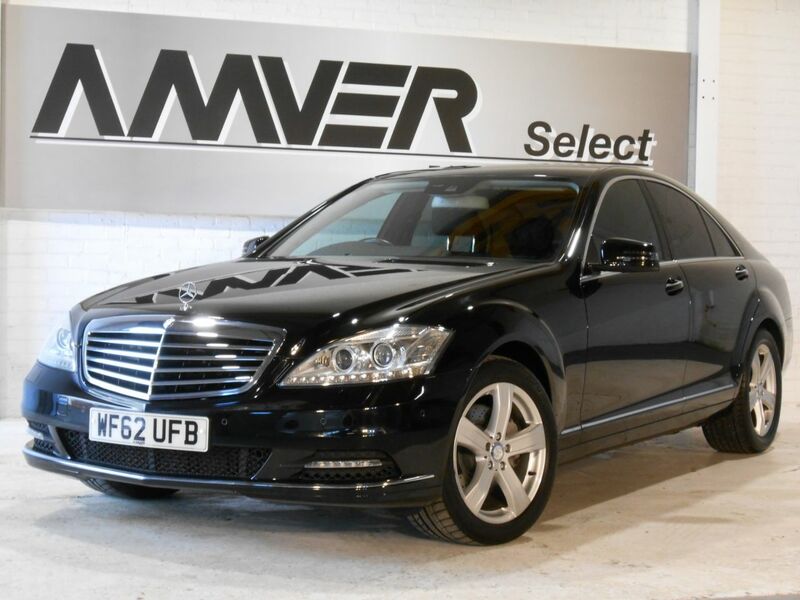 An ultra low mileage two-owner Mercedes S Class with full Mercedes service history in Obsidian black metallic with black leather trim & high gloss dark burr walnut accents. Just 24,000 miles, equipped with COMAND satellite navigation, adjustable interior ambient lighting, heated electric seats with adjustable lumbar support, 6-disc CD/DVD changer, Bluetooth, Linguatronic voice command system, automatic Xenon headlights, rain sensor wipers, cruise control, front & rear parking sensors, LED daytime running lights, 18" alloy wheels & more. Beautiful to drive with adjustable AirMatic suspension with Sport & Comfort modes & automatic transmission with drive program selector to select between Sport & Economy modes or Manual mode in combination with the steering wheel gearshift paddles. Two owners from new, supplied with complete book pack in Mercedes leather wallet, two keys, just 24,000 miles & full Mercedes main dealer & specialist service history, last serviced just ten miles ago. This car comes with six months Momentum Platinum warranty, one of the most advanced warranty programs available in the UK today, and we have signed AA's Dealer Promise which means all cars are provided with a full history check, 12 months AA breakdown cover or member upgrade and other exclusive AA member benefits.